This is an interesting cocktail that is a great novelty for Halloween parties and it is, admittedly, more gimmick than anything else, but that's what's great about Halloween. The "frog" is lime wheels that are only lightly blended with the other ingredients, creating the idea of an old witches brew with pieces and parts floating in it. Add a few berries, grapes, or apple slices for the look of even more unknown creature bodies inside your brew. The trick is to avoid blending until smooth as you normally would, only enough to chop things up and mix them together a bit. 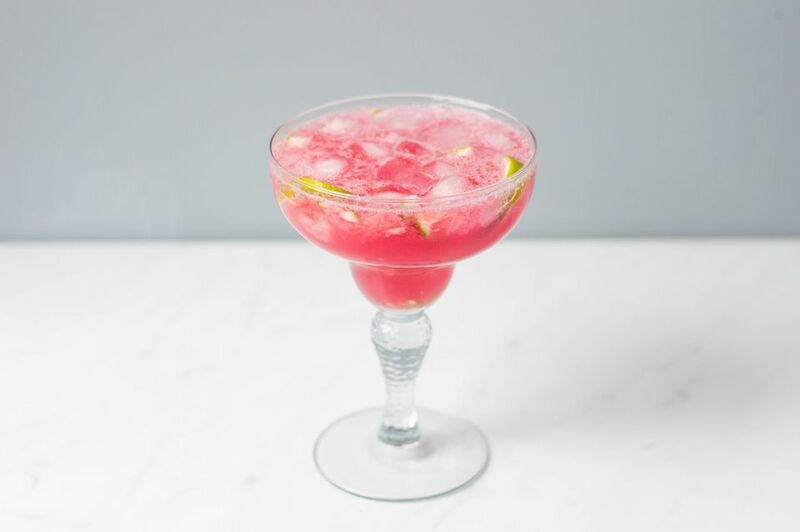 Place the ice, vodka, cranberry juice, and lime wheels inside a blender. Blend for 3 to 5 seconds. Pour into a chilled hurricane or margarita glass.